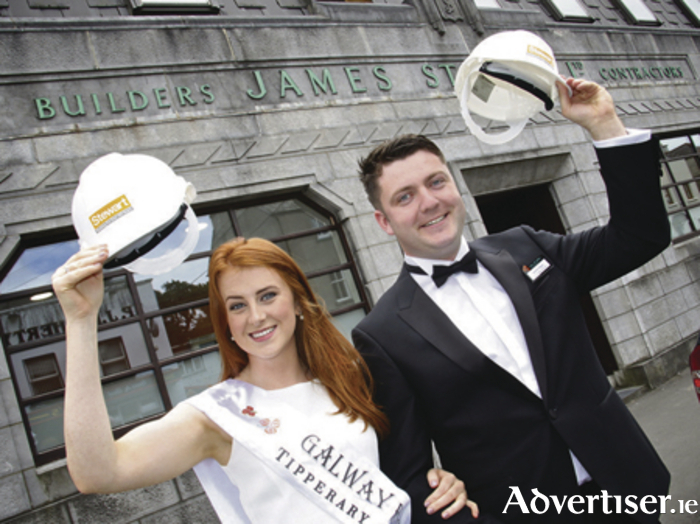 Galway Rose Rosie Burke is currently planning her trip to the south coast in preparation for the Rose of Tralee International Festival. She will be among 65 Roses from all over the world who will be at this year’s extended festival which will include parades, funfairs, circuses, fashion shows, firework displays, and approximately 70 hours of free entertainment. The format for this year’s event has changed to allow every Rose travel to Tralee to enjoy the event in its entirety, which communications manager John Drummey believes will enhance the competition’s overall appeal. “For the past 11 years, a qualifying event was staged in the midlands at the end of May, at which 32 Roses were selected to appear on TV in August, and ultimately get to enjoy all the fun of the festival,” he said. Firstly, however, 23-year-old Burke from Ballinderreen, will embark on a five-day tour taking in Ireland’s top tourist locations, such as Guinness Storehouse, Irish National Stud, Japanese Gardens, The K Club, and Kilmainham Gaol. She will be in good company too, as the Sligo Rose Katie Higgins hails from Moylough, Galway, and London Rose Emma Murphy-O’Connor, New Orleans Rose Shannon Burke, New Zealand Rose Hannah Greally, and Yorkshire Rose Anne-Marie O’Donnell all have family ties to County Galway. Each Rose who takes part in the qualifying selections on August 17 and 18, will discover on Sunday 21, if she has been chosen to appear on the televised selection later that week. Such is the popularity of the Rose of Tralee, RTÉ has introduced a new show, The Road to the Dome, which will track a Rose’s journey to the stage. It will air on RTÉ One at 6.30pm on Monday August 22.